LOVE. Wouldn’t mind changing closet with Jen Brill for a day! Wow, gorgeous pictures, love every single one of them! I love these all!!!!!!!! your blog is like the bestest ever!!! Amazing! I would love to trade too! WOW!! Who doesnÂ´t dream of anything similar?! i want every single Chanel piece.. 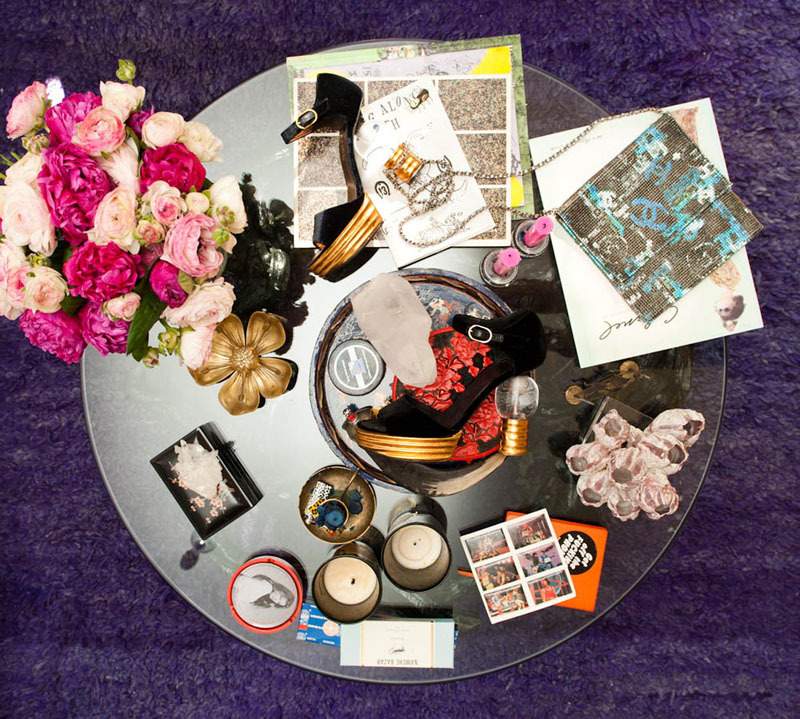 I love the coveteur, so many people with an amazing closet! Especially love this entry with all the chanel pieces, and that dress is to die for. Your blog is not too bad either ;-) Love it! Those black and gold kicks are truly fabulous! Love her entire collection…so vibrant and fun! Those shoes in the first picture are so stunning! chanel is always so beyond inspiring. i am obsessed with everything in this beautiful photograph. I adore the beaded (I think!) Chanel bag in the second picture on the glass table – beautiful! Those lightbulb heels are just to die for! Total Chanel heaven! Especially adore those Matryoshka dolls. that person knows for sure how to shop chanel! Love these photos! So whimsical. Those are some incredible boots she has! I so agree. Jen Brill is amazing. I WOULDNT EITHER SHE HAS THE MOST BEAUTIFUL THINGS IN TEH WORLD! i love this, what beautiful inspiration!! I have to tell you that one of the things that I love the most from your blog are your images of inspiration !! Wow… so much lust worthy chanel! who wouldnt! i love browsing trough The Coveteur! I love The Coveteur and all the stylish wardrobe that they feature. Gahhh!!! those Chanel boots are incredible!! So much Chanel!! I love it all! I love this Chanel dress! Want to change closet too!! Lovely little collection of pictures! who doesn’t want some chanel? wow this really got me inspired!! lovely! jag älskar dig stil! In love with the Chanel Dress. ~oh goodness, I’m overwhelmed with joy just thinking about it!